Nets owner supporting his GM and furthering Nets rallying cry of unfair officiating. I never felt like Clippers had a chance today. @SBondyNYDN It was a competitive game. The score is close but thus game wasn’t close. Warriors look unstoppable again. have a feeling the 2-minute report is going to show two game-changing mistakes from refs — one is wrap around from Tobias on Jarrett Allen that wasn’t called, the other was a push in the back from Ben Simmons that led to JJ Redick’s 3-pointer. I understand Sean Marks’ anger. 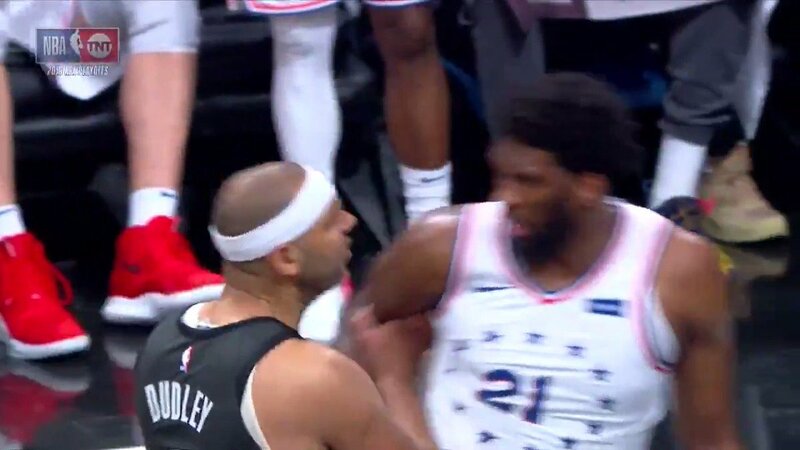 Neither Jared Dudley nor Jimmy Butler deserved to be tossed yesterday. But I have a suspicion referee Ed Malloy came to a decision that’s somebody’s got to go as he himself was shoved two rows into the stands. Damn this is a good game.